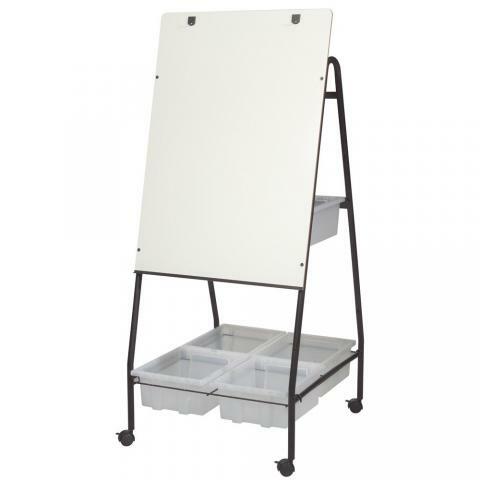 This standing whiteboard features a black powder coated steel frame mounted on 3" locking casters. 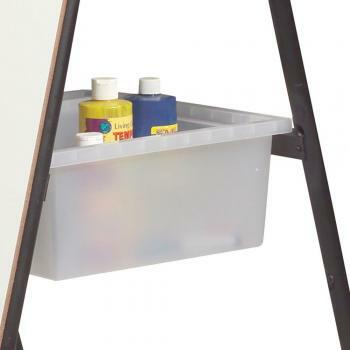 Four (4) spacious storage tubs help you organize your classroom. 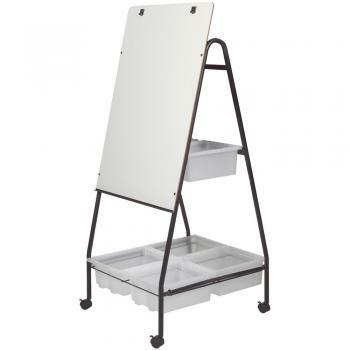 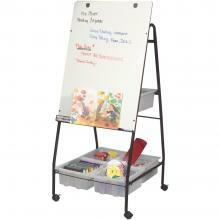 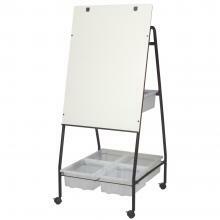 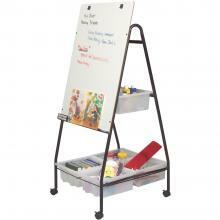 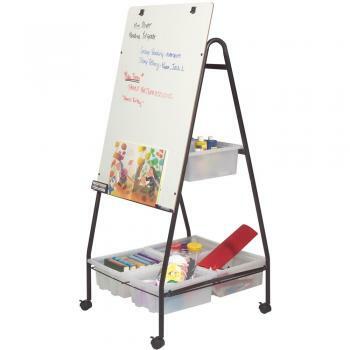 Flip chart hooks are included with this standing whiteboard for added functionality.